Every 10th of October, we are happy to share and celebrate World Mental Health Day (WMHDAY) with you. As many of you already know, each year a mental-health-related theme is chosen to raise awareness and continue the battle against the global stigma associated with mental health. This year’s focus is burnout and mental health in the workplace, a very relevant topic considering the highly competitive job market in most of the world. WFMH has published a report showcasing different angles of the problem and providing some possible solutions. Even though Fondation d’Harcourt is not currently supporting any specific project on burnout in the workplace, we encourage you to share the information available with friends, family and colleagues. As you all well know, we believe there is “no health without mental health”, so everything we do to dismantle the stigma of accepting, treating and even talking about mental health issues and diseases will eventually help push authorities towards investing in mental health and, ultimately, create healthier societies. 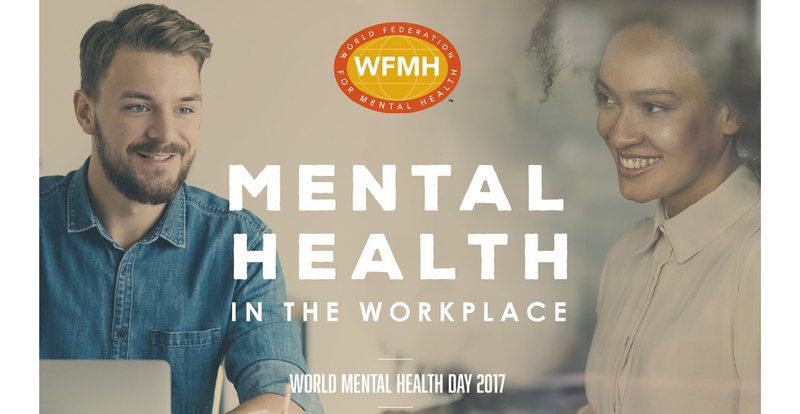 Visit World Federation for Mental Health’s WMHDAY website, where you can learn more about mental health in the workplace and find simple ways to take part in the celebrations.